Champs has been a retail product that has treated me quite well recently. I hope that this box delivers that same amount of awesomeness that the others have given me. I'm always happy to open Champs as it is full of fun things to see and find. You never know what will come out when you open this fun product! Eclectic is the word I would use to describe Champs. While the short side of the blaster shows a photo of Ovi, the taller front side has no hockey images at all. In fact, the box shows a dinosaur! Champs doesn't even look like a hockey product! And that's probably one of the reasons I like it so much. It's just weird! Champs is a product that comes with mini cards in it. In fact, all the rookies in Champs are mini cards. Aside from those, there are a ton of different parallel variations of all the cards. It would be a nightmare trying to get a master set of this product. 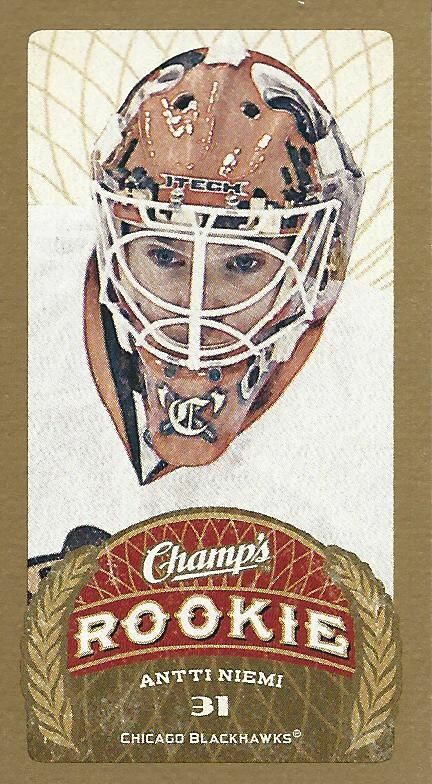 I wonder if Upper Deck created champs to be a set to collect in that way. I would love to know of any collectors going for a master set of Champs. I would be impressed if they even came close to it! Another impressive blaster of Champs! I'm very happy with this blaster as I got some cards that I actually like as well as a pretty good hit. I definitely don't have any complaints here. Besides my favorite cards out of this blaster, I got a bunch of cards that I enjoyed pulling. The mini cards were particularly cool. One of the best mini cards must be the Patrick Roy mini. Pulling Roy out of products has always been a cool thing, and I still get excited when I see him come out of packs. The Great Barrier Reef was a crazy card to get. The image of it on the front looks so benign - it's almost like there was supposed to be something there but it went missing. Cards like this are amusing to me and are a large part of what makes Champs so enjoyable. Jumbo Joe has been a huge part of the Sharks for many years now. I'm always glad to pull him out of packs. The team and he have been a bit rocky in their relationship recently, but I think fans still think very highly of him. 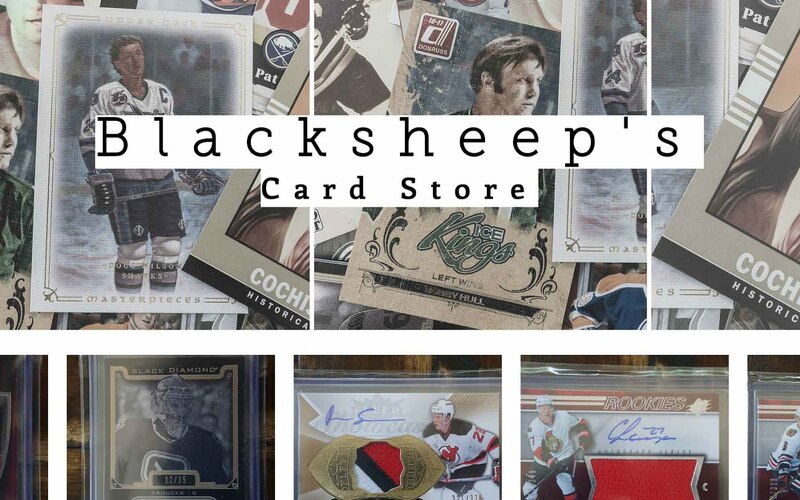 It's pretty sweet to pull a Nemo rookie out of this product along with the Thornton. 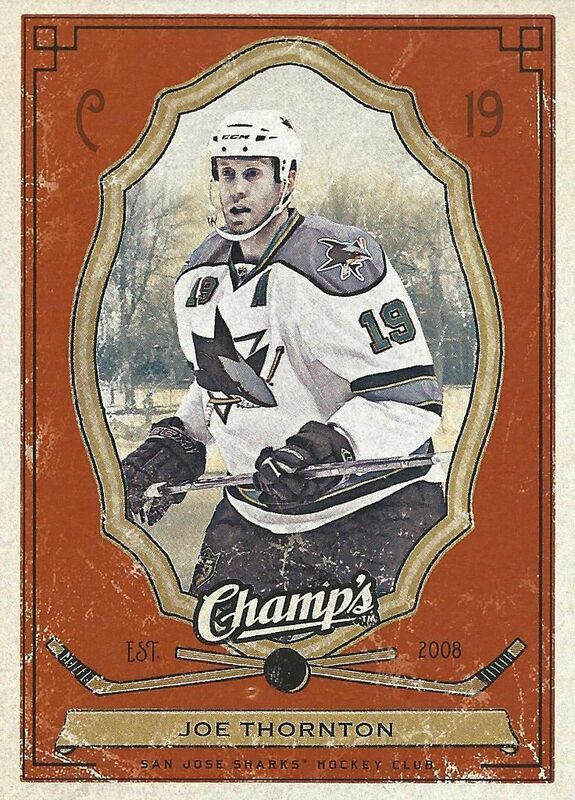 He hasn't been as popular with the fans as compared to Jumbo Joe, but he has had some good moments with the Sharks during these last few years. 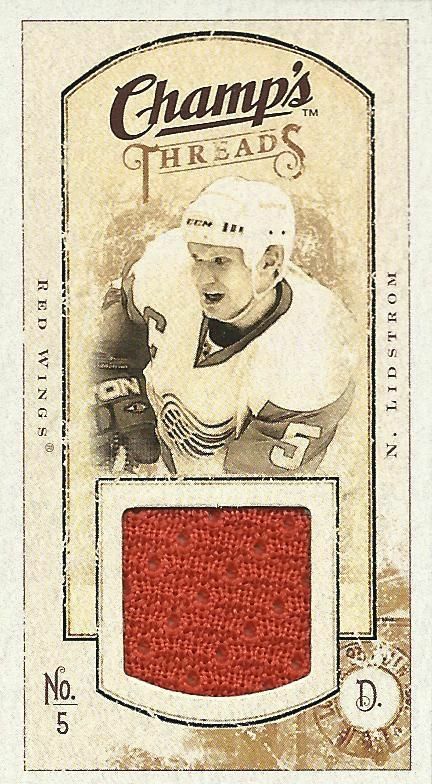 Lidstrom is an all-time great player, and it's very cool to be able to get a hit of his from this blaster. 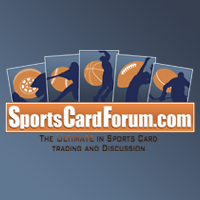 The mini jersey cards from Champs look great - I have nothing to complain about here! I am definitely in the same boat as you. 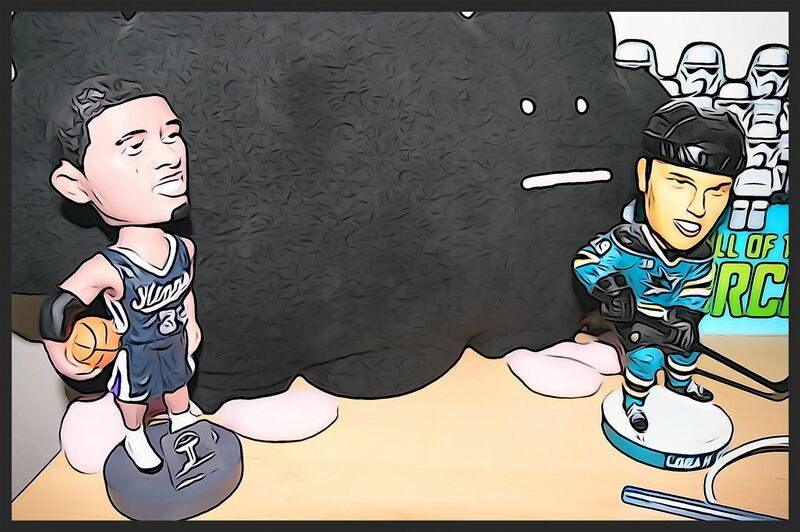 The Champs product is so visually random, but it packs a lot of enjoyable content for any hockey fan. The addition of "Wonders of the World", "Natural History", and "Historical Figures" makes for a nice added bonus. Nice insert and threads snags!